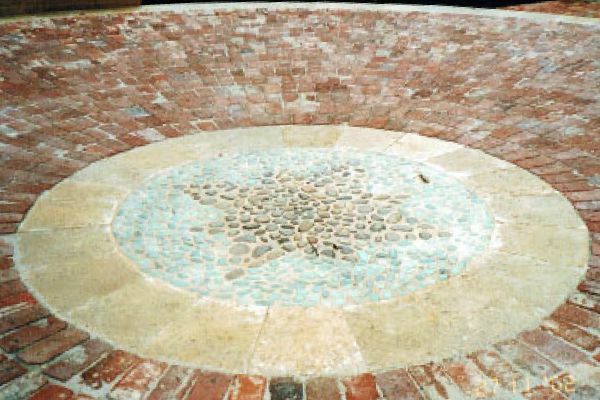 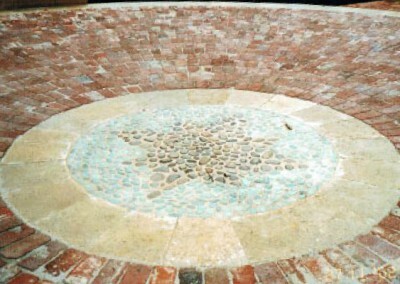 This courtyard has a light, lyrical feel to it which is enhanced by the client’s addition of colourful mosaics, sculptures and wrought iron gates. 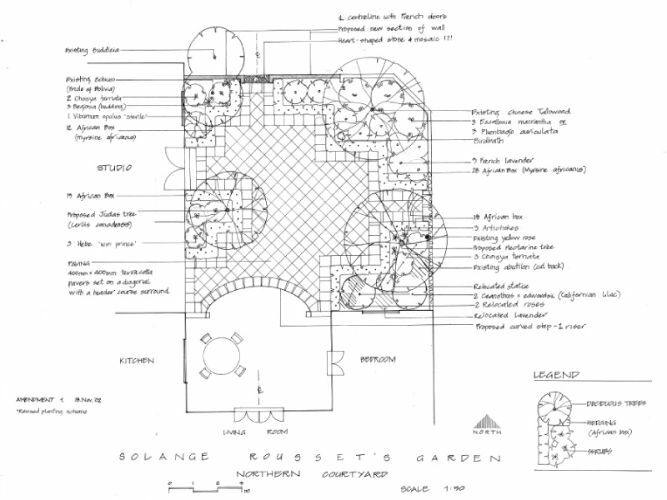 Solange required a cohesive planting design and paving pattern to provide structure and harmony in this rich and interesting walled garden. 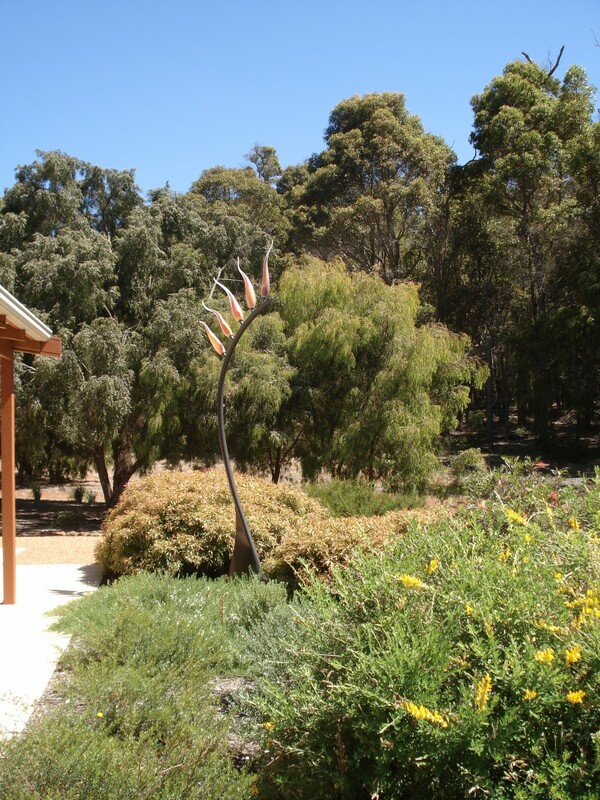 This is a large residential garden in Rosa Glen, Margaret River, Western Australia. 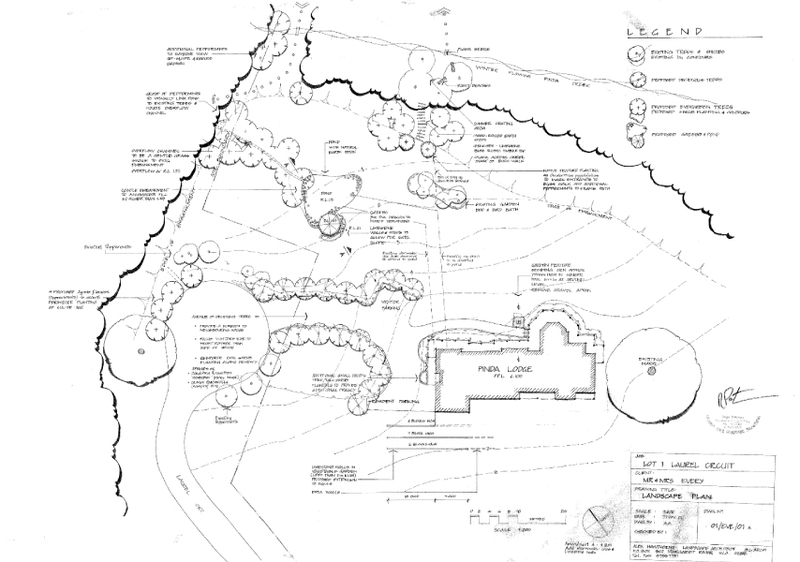 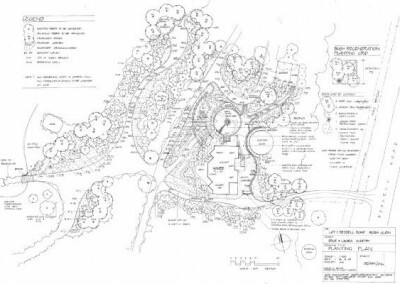 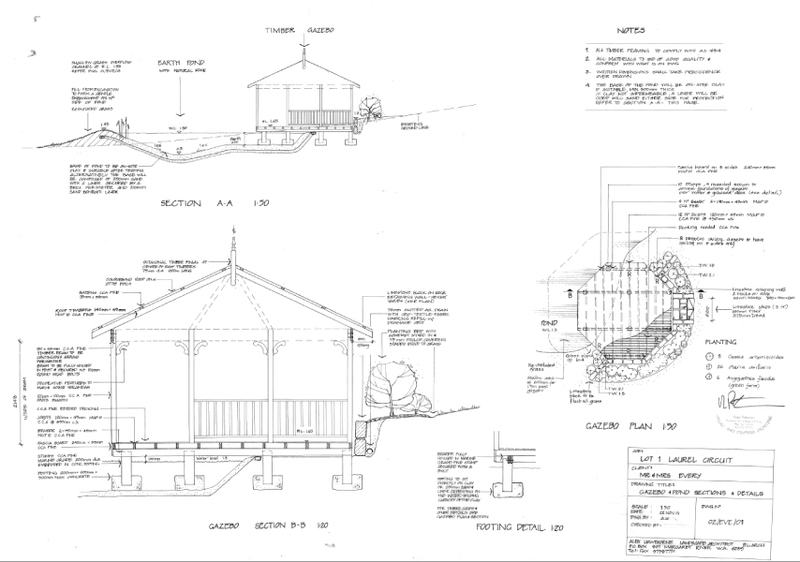 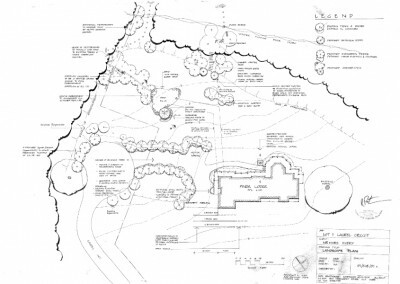 A site analysis, structure plan and sketch plan were prepared to integrate the renovated house with the surrounding garden and native forest, much of which had been formerly cleared for farming. 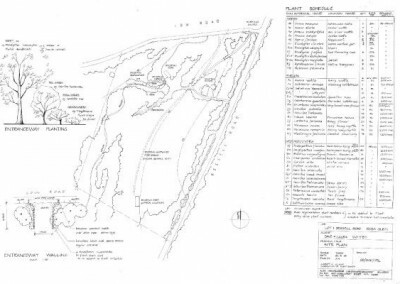 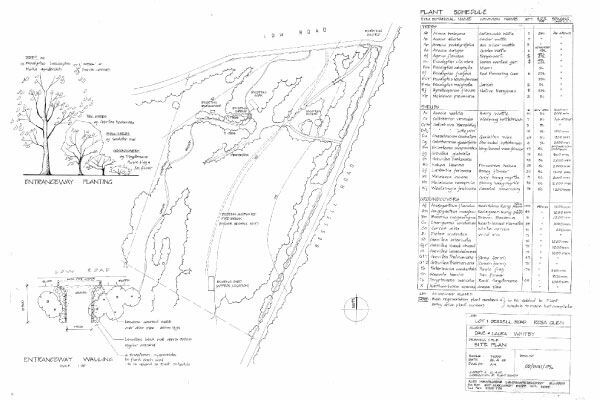 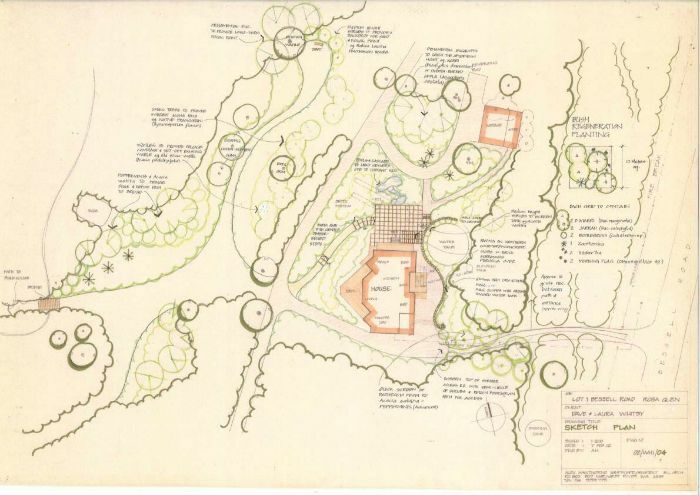 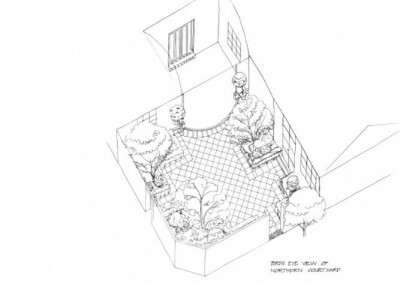 Bush regeneration, strategic planting and a full planting plan were then developed with detail drawings to bring the disparate parts of the garden into a unified whole. 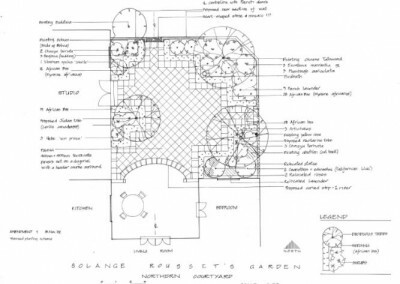 The project was then managed and built by Lazarus horticulture and landscapes and the result was very well received. 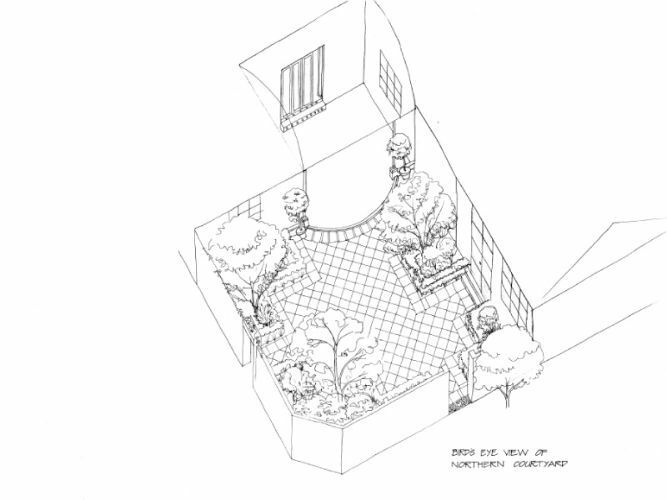 Project: Residential Garden Margaret River, W.A. 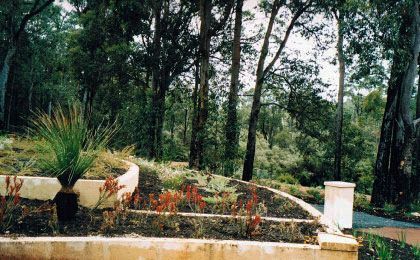 Peter and Margaret Heenan’s garden in Rosa Brook in Margaret River,W.A., required integration with the surrounding bushland together with strengthening of the structure of the garden around the house with water- wise planting, stone-walls and saw-dust paths. 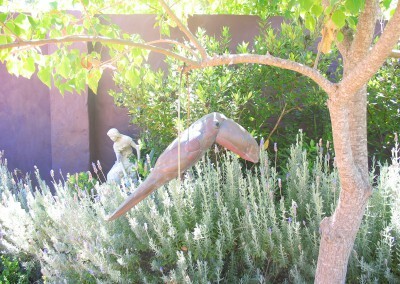 Margaret is an artist and chose a beautiful glass sculpture from the annual exhibition at Cottesloe Perth to go in the finished garden. 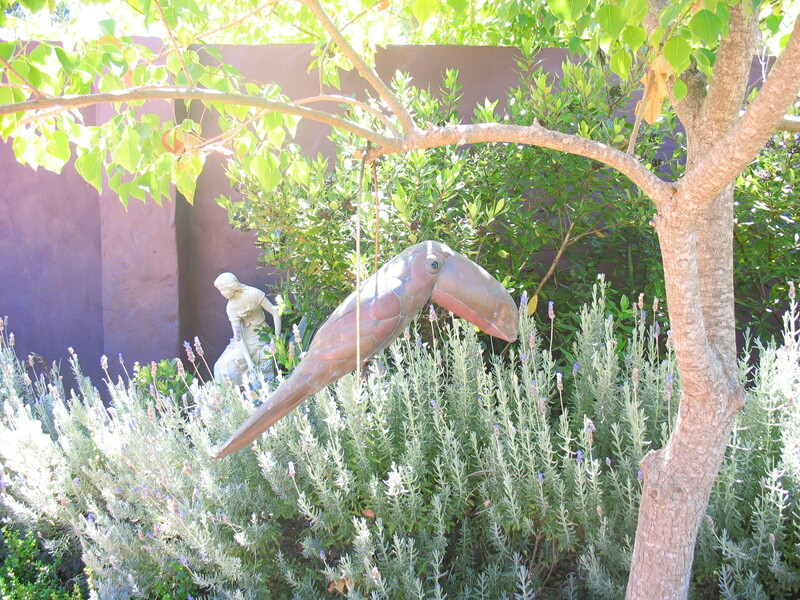 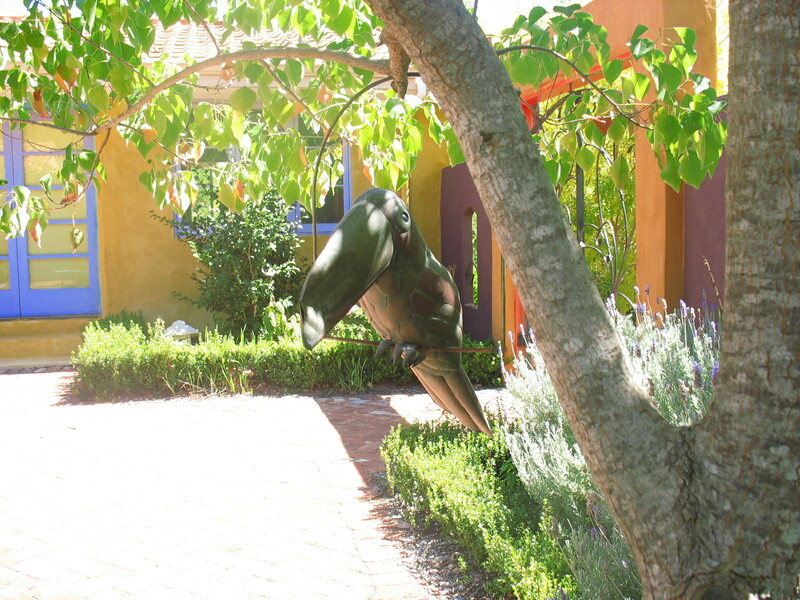 This a boutique bed and breakfast on a large block of land facing north on the banks of Margaret River, W.A. 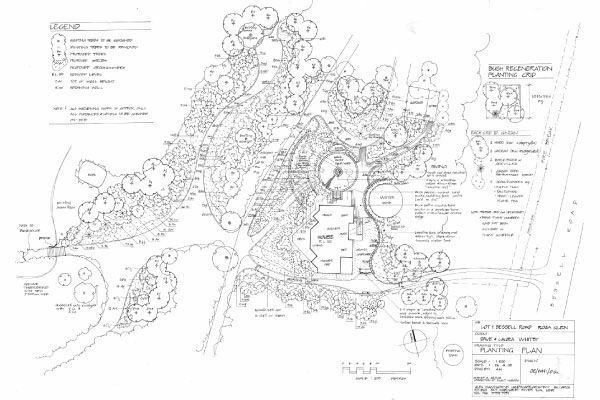 The client requested a gazebo that would draw guests into the garden and walk trails along the river. 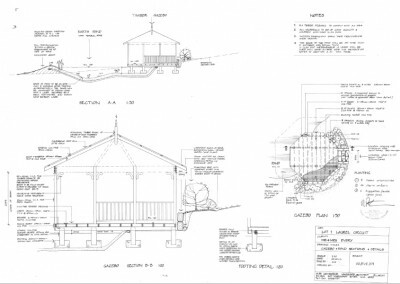 I suggested we cantilever the gazebo over a pond to create a floating effect and that we build it in a similar architectural style as the house to provide continuity of the two buildings. 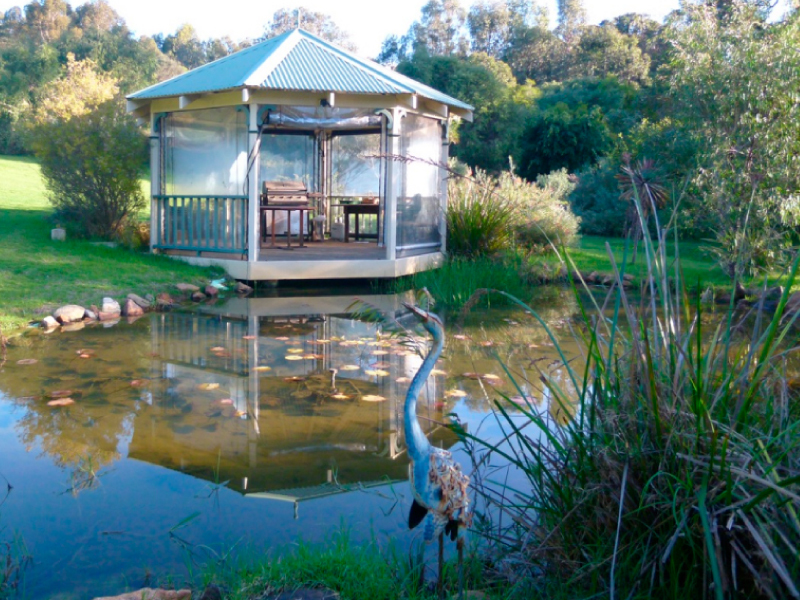 This was so successful, the subsequent owners built another, very similarly scaled gazebo with a spa for guests, once more overlooking the garden and the banks of the river.